Use This Handy Trick to Dress Up Any Dessert! We just love adding chocolate shavings and curls to our favorite desserts. They're both elegant and whimsical, and are definitely eye-catching! They just add a little extra flair and pizzazz to any dessert that makes indulging in your favorite treat that much more rewarding. Plus, your guests will be so impressed they'll think you must have attended a fancy culinary school! 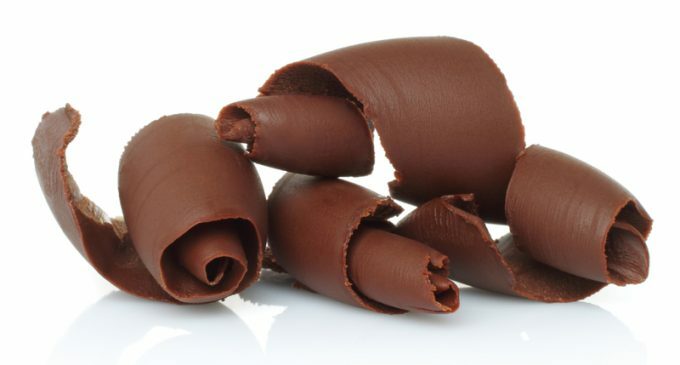 Actually, making chocolate shavings and curls is remarkably easy…all you need is an ordinary vegetable peeler! If you want to make large chocolate shavings, you'd use something called a bench scraper, and then lay out a thin layer of chocolate on a flat workspace. This is what professional pastry chefs and chocolatiers use, but for home cooks like us, a regular old vegetable peeler should do the trick, while still making snazzy looking chocolate curls. To learn our favorite method for making chocolate shavings and curls, please continue to Page (2) for the complete instructions.